Jo Anne Sikes, local Edgewater historian, died November 23, 2018, at the age of 86. She was also known to many people as “grandma kitty.” A native and lifetime resident of our area, she served the Lord in many ways during her life time and we know she is now in the arms of her Saviour whom she loved very much. She is preceded in death by her husband, John Wilbur, and leaves behind three children, Susan Hutchinson (Wes), Linda Lee (Dan), and Walter Sikes (Kay). Her legacy includes five grandchildren and 14 great grandchildren. She was a member of the First Baptist Church of New Smyrna Beach and sang in the choir there for over fifty years. She presented many Christian programs to local churches and schools that included bible studies, music and her hand made puppets. She enjoyed researching and sharing monologues about past hymn writers. She was proud of her heritage and was such a history buff. 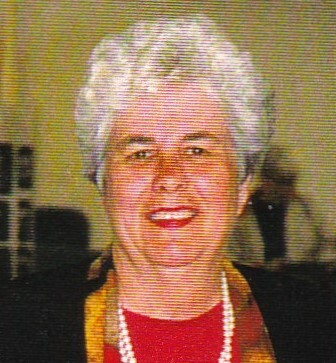 She was named historian for the City of Edgewater in 1987. She researched and wrote two books about the city of Edgewater. Her first book written with Sandy Sammons and published by Arcadia Publishing is still found in many libraries and local stores. Her second book was written about the founders of Edgewater, Dr. Milton Hawks and his wife, Dr. Esther Hawks. She helped design and publish “New Smyrna Snapshots of the Past” for the Read Pattillo Elementary School. She put together a historical brochure featuring Riverside Drive. Many people enjoyed the history talks that she gave to local libraries, churches and schools. Jo Ann served on the election board for the city of Edgewater for 34 years, she was a member of the Edgewater Library Board, was an avid supporter of the friends of the library, and once served as president of the Southeast Volusia Historical Society. Before she died she was living at Brillance Assisted Living Facility and made many friends there. She was influential in starting the first bible study/prayer meeting on Wednesday nights there. She valued her family and all the traditions we had together. We will all miss her so much. A celebration of life service will be held Saturday, December 8th, at 6:00 p.m. at the Settle-Wilder Funeral Home in New Smyrna Beach. The Reverend Mark Davis officiating. The family will received friends from 5:00 p.m. until service time.